"Proprietor of Eternal Envy Boutique, Heaton Moor, which is home to lovingly sourced independent designer fashion as well as delicious handmade, bespoke and locally sourced accessories. Absconded to Cornwall masquerading as a surfer chick for a few years. Missing the bright lights of the big city - and tired of explaining what a barmcake was - returned to Manchester. After a few years on the corporate ladder, ended up landing a job managing the VIP lounges at the Commonwealth Games (Manchester 2002), where Prince Edward once offered to "get me a cup of tea" for "running me ragged," which probably influenced a couple of my royal finds of the fair. Eventually started my own business after six years of being overpaid and underworked in the IT industry. Keen reader, amateur gardener, subservient cat owner and lover of all things that sparkle." Follow Eternal Envy on Twitter, and why not follow Maria too? Go and 'like' Eternal Envy on Facebook, or even call round at 77 Heaton Moor Road, SK4 4NZ. She'll be delighted to see you! 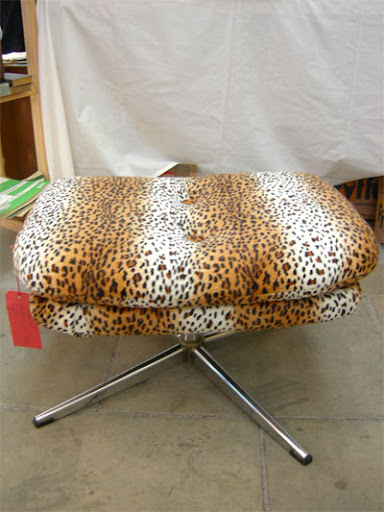 70s stool reupholstered in leopard-print fabric, £45, from Oooh Betty. "Can you own too much leopard print? I really don’t think so, so why not expand it into your soft furnishings? Loved this stool so much I sat on it and refused to budge until my husband bought it. Sadly he didn’t agree and I realised as he had the car keys, it was going to end in a long walk home if I held my ‘sit on’ for much longer." 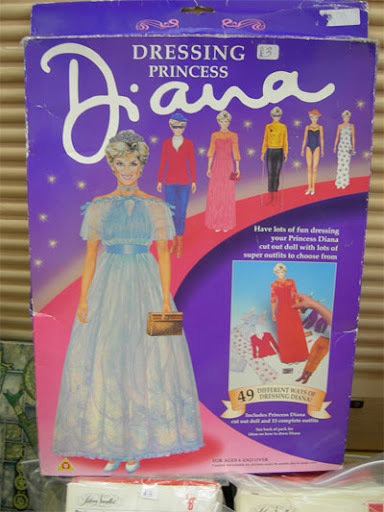 "Dressing Princess Diana" paper doll, £3, from Maria Theodorou. "Who knew that these existed? I certainly didn’t or I would have been on these like a tramp on a bag of chips in the 80s. Really hope the kit doesn’t include that racy see through dress she wore in the early days, a real fashion faux pas for a princess." 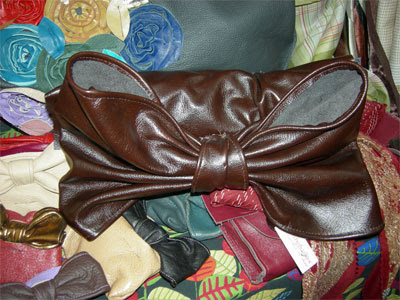 Bow bag from Woodchip Boutique. "As a prolific handbag hoarder, these little beauties ticked all the boxes for me; girly, practical and terrific value for money. In fact, I had a Victor Kiam moment, I liked them so much … I filled my boots and bought ‘quite a lot of them’ for our little shop." 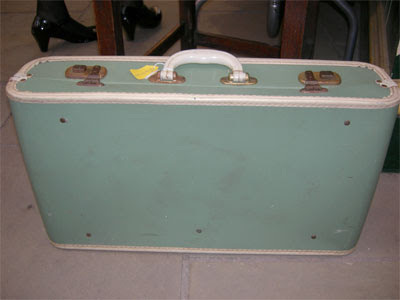 50s blue picnic case, £40, from Mama J's Vintage Goods. "I’ve always loved the romance associated with picnic cases and this one is in my favourite colour. It’s an ideal size to fit some bottles of fizz in and some finely cut glassware. If you really wanted to, you may be able to squash a sandwich in too." 50s blue floral print dress, £60, from Lady, Behave! 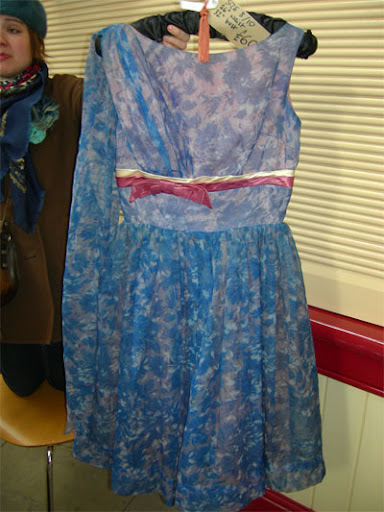 "My husband adored this elegant vintage dress with attached train, you can just imagine a 1950s housewife nipping upstairs to slip into it after an afternoon of baking. It was labelled a size 8/10, but realistically, he’s more a size 14/16." 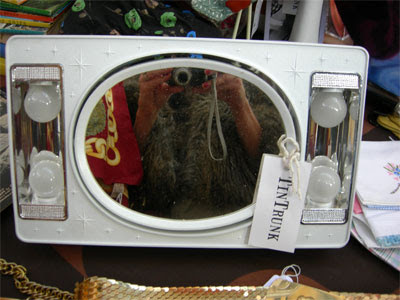 60s illuminated make-up mirror with white vinyl carry-case, £38, from TinTrunk. "If I’d have been daring enough to see my reflection up close with the aid of some brilliant lighting, this would definitely have been winging its way back to Telford Towers. I love the design and the fact that it comes in a vinyl carry case too, plus it’s in immaculate condition." 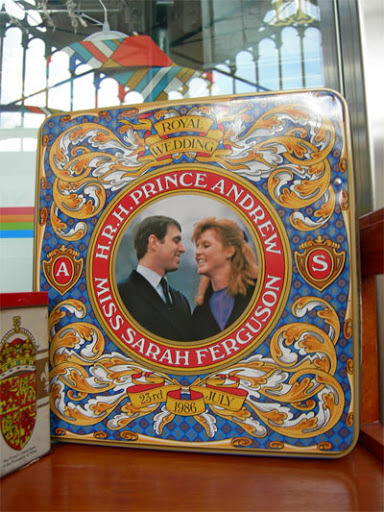 Andy'n'Fergie wedding commemorative tin. We think this might be from All Our Yesterdays. 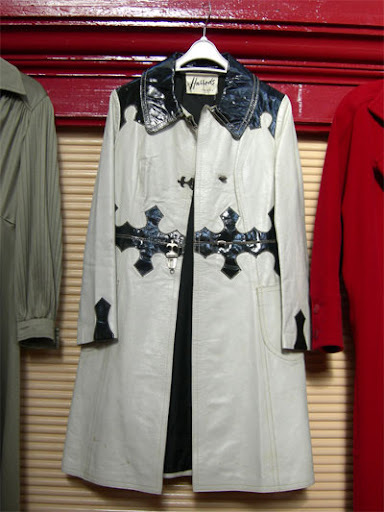 60s Harrods white and black patent leather coat, £120, from Maria Frances. Handmade retro-print cushion, £7.50 or two for £12, from Kitsch Republic. 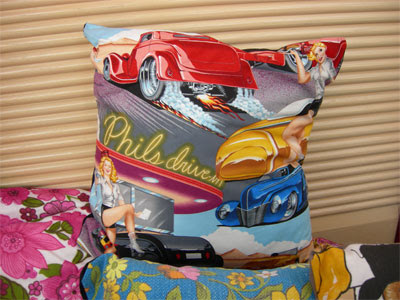 "The print on these cushions is fab, love the American 50s pin up imagery. It was great how women celebrated glamour in this era, enhancing their curves and rarely leaving the house without teetering on their stilettos – think on Ugg wearers." 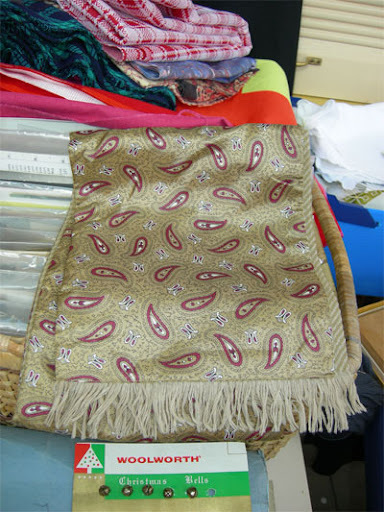 60s gent's faun paisley scarf, £3, from The Side Room. "I adore paisley print and I'm forever trying to smarten my husband up, so it would be great if he took to wearing something like this. If you’re reading this Curly, this cost only £3; just under half of what you paid for those ‘leather’ brogues in the Co-op closing down sale." 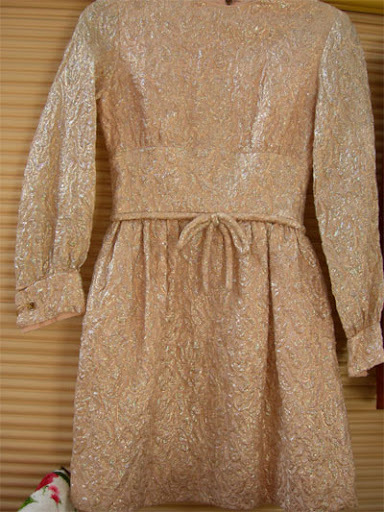 60s gold brocade mini dress from Pretty Flamingo. "Can you imagine wearing this original 60s mini dress?! I came over all Twiggy when I found it, brocade always seems so luxurious, and this was exceptionally beautiful. I could just picture myself in it, hanging out with Marianne & Mick on Carnaby Street … until I looked down at my legs that is." 60s Shattaline lamp, £60, from Norwegian Wood. 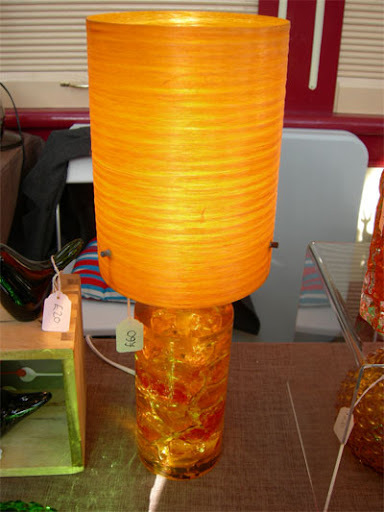 "This groovy orange lamp was an absolute steal for £60, in perfect condition, and a much nicer alternative the clichéd lava lamps that seem so popular. Not sure if this is 60s or 70s but I pictured this at Abigail’s party, sitting next to a fine decanter of Q.C." 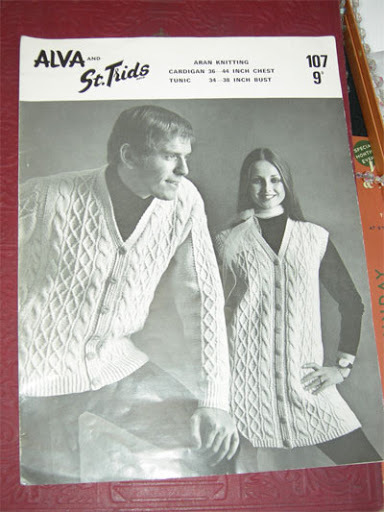 60s Aran knitting pattern from Crystal Angels (make her an offer!). 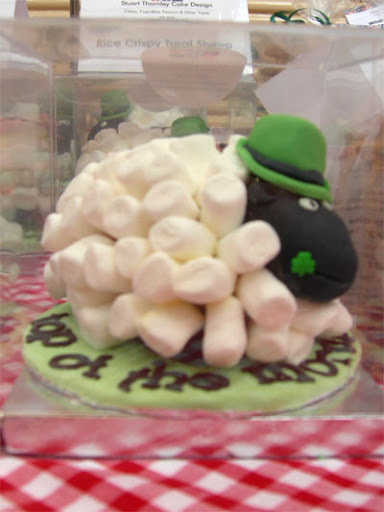 Rice crispy treat sheep, £3, from Stuart Thornley Cake Design.